Indian Premier League IPL 5 2012 T20 KKR CSK Final Match Watch Online, IPL 2012 Award Winner Names, KKR wins IPL 5 T20 2012 Cricket Tournament, Indian Premier League 5 2012 Winner KKR, Who wins purple / orange cap in ipl 5 2012, who win emerging rising star award in ipl t20 2012. It was not at easy to beat defending champions at their home ground. But, this year Kolkata Knight Riders (KKR) Team played extremely well throughout the season and most importantly played as a Team. Probably, this makes KKR the Champions of IPL T20 2012 Season beating defending champion Chennai Super Kings (CSK) who had won IPL T20 Companionship twice [in 2010 & 2011]. Today on 27th May 2012 (Sunday), the Team of Bollywood King Shahrukh Khan (SRK) snatched the IPL T20 2012 Cup from Chennai to Kolkata under the Captaincy of Gautam Gambhir. Right from 2008, when IPL T20 Tournament started, SRK’s KKR Team never performed well enough but from 2011 KKR started playing well under Gautam Gambhir. It is a great decision to appoint Trevor Bayliss as KKR Coach & also to bid for Suniel Narine during 2012 IPL Auction because, Suneil Narine became the mystery bowler & never conceded more than 5 runs per over in every match he played. But, it has to be said, KKR won 2012 IPL T20 Championship not for Individual performance but for the Team effort where all players stayed like a family and played their part. Whether it is Narine, Kallis, Mc.Cullum, Lee, Shakib or Indian Players Gautam, Laxmi, Bhatia, Manoj, Debabrato, Yusuf, Balaji all played as a team and performed when team required. In the final when CSK posted 190 Runs batting first at their home ground in Chennai, it wasn't easy to chase 191 for KKR. And the things became worst when KKR lost Gautam Gambhir [Leading Run Scorer for KKR in IPL 5 2012] in the 1st over. But, Manavindar Bisla, Indian Wicket-Keeper Batsman plays for Haryana, came to the rescue along with World’s no.1 all-rounder Kallis. Both of them scoring half-centuries and maintained healthy run rate to ensure KKR win. In the last over, Bengal Cricketer Manoj Tiwary hit the winning run. What a moment it was for SRK & KKR – SRK is rocking Bollywood over the years and now his team KKR is rocking IPL T20 Cricket Tournament. SRK’s KKR made Kolkata proud as well. Purple Cap Award Winner of DLF IPL 5 2012 T20 Cricket Tournament: - M. Morkel of Delhi Daredevils Team for taking 25 wickets. Orange Cap Award Winner of DLF IPL 5 2012 T20 Cricket Tournament: - Chris Gayle of Royal Challengers Bangalore (RCB) for scoring 733 runs. Karbon Kaamal Catch Award Winner of DLF IPL 5 2012 T20 Cricket Tournament: - David Hussey of Kings XI Punjab for taking a catch against RCB. Volkswagen Power Performance Award Winner of DLF IPL 5 2012 T20 Cricket Tournament: - A.B. Deviliers of Royal Challengers Bangalore (RCB) for playing the outstanding knock of 49 runs from just 17 balls to make RCB win over Deccan Chargers. City Rising Star Award Winner of DLF IPL 5 2012 T20 Cricket Tournament: - Mandeep Singh of Kings XI Punjab. Indian Cricketer Mandeep Singh is only 20 years old and performed extremely well during IPL 5 T20 2012 Season. Golden Cricketer of IPL 5 2012 Award Winner of DLF IPL 5 2012 T20 Cricket Tournament: - Suniel Narine of Kolkata Knight Riders (KKR), who has performed unexpectedly well for KKR. West Indian spinner Suniel Narine took 24 Wickets with an economy under 6 rpo. Fair Play Award 2012 IPL 5 T20 Winner: - Rajasthan Royals (RR) Team. Runners Up Award Winner of DLF IPL 5 2012 T20 Cricket Tournament: - Chennai Super Kings (CSK). 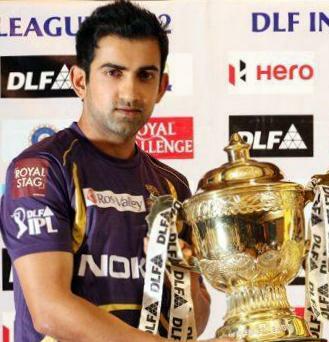 Winner of DLF IPL 5 2012 T20 Cricket Tournament: - Kolkata Knight Riders (KKR). Man of the Match of IPL 5 T20 2012 Final Match: - Manvinder Bisla for playing 89 Runs from 48 balls knock during the chase. Most Sixes Award winner of IPL 5 T20 2012 Final Match: - Suresh Raina of Chennai Super Kings (CSK). Karbon Kamaal Catch Award Winner IPL 5 T20 2012 Final Match: - Shakib-Al-Hasan of Kolkata Knight Riders (KKR) for taking catch of Murli Vijay of the bowling of Rajat Bhatia. Since, Kolkata Knight Riders (KKR) won 2012 IPL T20 Cricket Tournament; Eden Gardens Cricket Stadium of Kolkata will host Airtel Champions League 2012 Opening Ceremony & Champions League 2012 Final Match as per the rules. Because of defending Champion, Kolkata’s Eden Garden Cricket Stadium will also host the IPL 6 T20 2013 Final Match. So, get ready Kolkata to cheer again for KKR and this time not in front of Television but at Eden Gardens. Farhan Akhtar has come up with the sequel of Shahrukh Khan’s DON again in 2011. Yes, this time Shahrukh Khan will be seen in a new look with Abs and different hairstyle. The name of the DON Sequel movie is DON2 where Hrithik Roshan will be seen in a short cameo role and Lara Dutta, Kunal Kapoor get the chance to perform. The DON2 Film Shot in countries like Germany, Berlin internationally and SRK is ready to rock Indian Film Industry again in coming Christmas with SRK New Movie DON2. • Director of DON-2 Hindi Film: Farhan Akhtar. • Producers of DON2 Shahrukh Khan Movie: Farhan Akhtar and others. • Music Director of Don-2 Bollywood Movie: Shankar Ehsaan Loy. 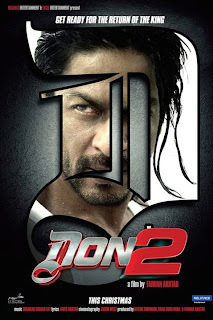 • Don2 Mp3 Songs writer Lyrics given by Javed Akhtar. • Cinematographer of DON2 SRK Movie: Jeson West. • Casts Actors Actresses in DON-2 Bollywood Movie: SRK Shahrukh Khan, Hrithik Roshan (Cameo Role), Priyanka Chopra, Boman Irani, Om Puri, Lara Dutta, Kunal Kapoor and others. • Release date of DON2 Shahrukh New Movie: In 2011 Christmas time. 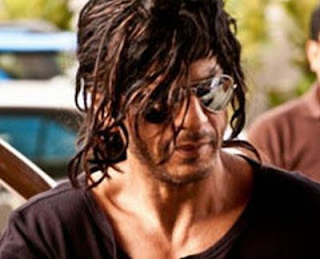 Check out some Photos of Shahrukh Khan new look of DON2 Hindi Movie. New TV Reality Show Zor Ka Jhatka of Shahrukh Khan is going to telecast from 1st February 2011. Here are some details about the latest exciting Television Reality Show Zor Ka Jhatka of SRK. • Sponsors of Zor Ka Jhatka Total Wipeout Reality Show: Pepsodent, All Out, Eclairs, Samsung Ch@t, Ooh Media, 92.7 Big FM Radio Partner. • Anchor Host of Reality TV Show Zor Ka Jhatka: The latest Reality TV Show Zor Ka Jhatka will be hosted by Bollywood Badsah Shahrukh Khan. • Telecast Date Timing TV Channel of SRK’s ZOR KA JHATKA: The new television reality show of Shahrukh Khan will be telecasted on Imagine TV Channel from 1st February 2011 at 9pm in the evening. The Imagine TV reality Show Zor Ka Jhatka Total Wipeout will be telecasted on Monday to Friday daily at 9pm. • Shahrukh’s Zor Ka Jhatka Reality Imagine TV Show Contestants: The television celebrities and Cinema artists will be the Contestant of Zor Ka Jhatka Reality Show of Shahrukh Khan and few names of Zor Ka Jhatka Imagine TV Channel Reality Show are Dimpi Ganguly Mahajan, Debina Bandopadhyay, Bindu Dara Singh, Waqtiar Irani and other TV actor actresses. • Format Pattern Tasks of Zor Ka Jhatka TV Reality Show Shahrukh Khan: The new Imaging TV Channel Reality Show Zor Ka Jhatka of Shahrukh Khan will show us extremely hard tasks performing by the celebrities at the Sea Beach, inside the Sea. • Winner of Zor Ka Jhatka Shahrukh’s Imagine TV Reality Show: The Winner of Zor Ka Jhatka Reality Show hosted by Shahrukh Khan will be decided after four rounds named Qualifier Round, Chakrabuho Challenge, Mixer Grinder Round and Wipeout Zone Tasks round of Zor Ka Jhatka Reality Show. • Vote Online to Contestants of Zor Ka Jhatka Shahrukh’s Reality Show: Please visit www.youtube.com/imaginetv to watch Zor Ka Jhatka Reality show episode Video Online. So, don’t forget to Watch Zor Ka Jhatka Online on Imagine TV Channel with Shahrukh King Khan. • SRK Jor Ka Jhatka Reality Show TV Channel: Imagine Television Channel. • Host, Anchor of Jor Ka Jhatka Reality TV Show on Imagine Channel: Shahrukh Khan, Bollywood Actor. • Contestants of Shahrukh’s Jor Ka Jhatka Reality TV Show: The Jor Ka Jhatka Reality Show Contestants are all Television Channel’s celebrities who will participate in Shahrukh’s Jor Ka Jhatka new TV Show. • Format of Shahrukh’s Jor Ka Jhatka TV Show on Imagine: There will be tough challenges for Contestants of Jor Ka Jhatka Reality Show of Shahrukh Khan and after four rounds of challenging tasks the winner will be announced of SRK’s Jor Ka Jhatka TV Show.